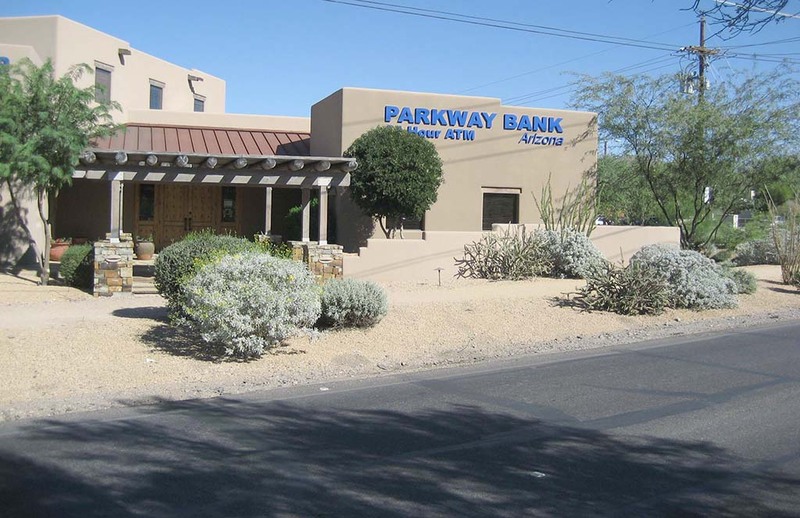 When Parkway Bank opened its first Arizona branch in 2004, they chose the friendly, vibrant community of Cave Creek, and made a commitment to provide best-in-class banking services. Fifteen years later, Parkway’s Arizona presence has grown to 8 branches across the Phoenix area. Parkway Bank is the only bank located in the Cave Creek town core, but that’s just one of many reasons to choose them for your banking needs. Conveniently located next to the library and post office, Parkway fits easily into our “small town” atmosphere – walk in and you’re likely to encounter short lines and employees who have been there for 5-10 years, greeting you by name. Parkway is a full-service bank, providing competitive banking products to local businesses throughout the community, specializing in small and mid-market businesses. Their comprehensive banking solutions include business checking, Treasury Management services, and business loans, with a streamlined loan approval process that makes Parkway stand out from the rest. Parkway’s team of Commercial Loan Officers, who average over 20 years of experience, focus on getting to know their clients’ businesses and building long-term relationships. They provide expert banking advice and local knowledge that steer their clients toward financial success. Parkway is known throughout the industry as a leading commercial real estate lender, and offers a full portfolio of loans that also includes term, lines of credit, franchise lending, equipment, SBA, and insurance premium financing. If you’re pressed for time–and who isn’t these days–Parkway’s mobile banking app enables you to bank anywhere, anytime. Check balances, transfer funds, or snap a picture to deposit checks electronically. Parkway Bank offers high-rate CD specials, which provide the safety of FDIC insurance and high returns that enable you to earn more. The Free Checking and Kasasa Rewards checking accounts are popular money-saving options for Parkway Bank customers. Additional services include safe deposit boxes, notary services provided free of charge to customers, and personal loans. Call Cynthia Adam, Branch Manager, at (480) 488-4440 or Regional Manager Frank McGava at (602) 765-8504 to see how Parkway Bank can serve you. Visit Parkway Bank at 6300 E. Cave Creek Road, or online at www.parkwaybank.com.